Hello everyone! Today we're sharing with our visitors a new release made by Vivid Translations: It’s not always easy for Einhart, but she never gives up by Kage Neko. 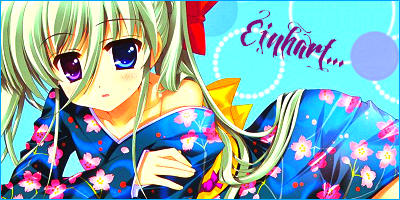 From their site: "Life isn’t always easy for our adorable little, Einhart. Tio can be a handful, she’s got her rivals and training to deal with, and on top of that, she’s still on a kid’s allowance! But with friends to help you out along the way, it’s not so bad after all.". There are just so many good bits, both adorable and hilarious. I think the ribbon gag was my favorite bit.